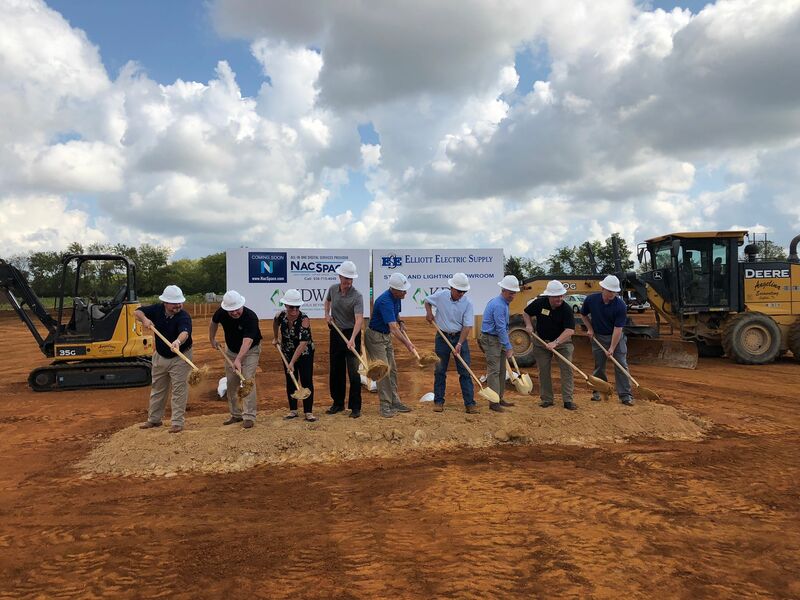 NacSpace founders broke ground at 2526 N. Stallings Drive, surrounded and encouraged by community stakeholders on August 27th, 2018. The new data center is partnered with Elliott Electric Supply, a Nacogdoches-grown business since 1976, with over 40 locations. NacSpace will create many economic benefits, but at the top of the list is bringing dollars back to Nacogdoches. Several Nacogdoches businesses outsource their data management, but with NacSpace, they will now have the opportunity to have their data managed locally. NacSpace will also serve non-local businesses, which has the potential to shine a light on Nacogdoches as a possible expansion location for those non-local businesses. In addition to providing IT services and data management, NacSpace will provide office space rentals, with several different leasing options ranging from day-use to annual contracts. NacSpace is set to open in June 2019. Visit nacspace.com to learn more!